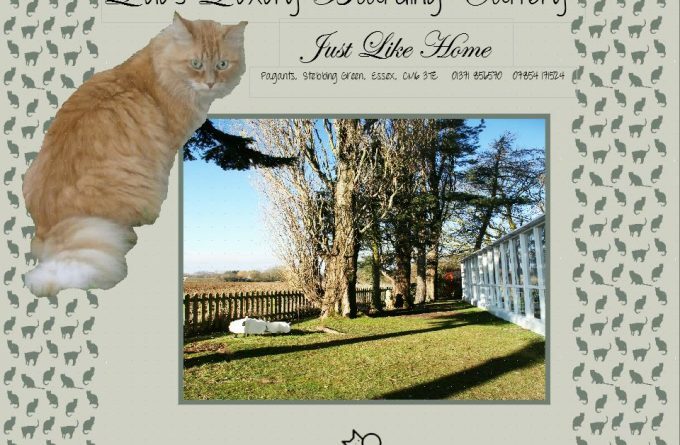 Lulu's is a small luxurious private cattery in peaceful surroundings. Conveniently situated for Stansted Airport but not on the flight path. Purpose built uPVC spacious comfortable accommodation with fully heated bedroom area. 24 hour attendance, fully alarmed and secure. As well as security CCTV, each room has privately accessible CCTV for owners to check in and see their pets enjoying themselves (i.e. sleeping!). Our website has full details of everything we offer for the pampered puss. For more information about Lulu's Luxury Boarding Cattery, you can visit them in person, visit their website, telephone or send them an email (if available) using the form below. Please note that we close 4pm in the winter (October - February) and 5pm in summer (March - September). All visits are strictly by appointment.